I am at my outside rotation. The secretary keeps referring to me as the “student” doing a rotation. 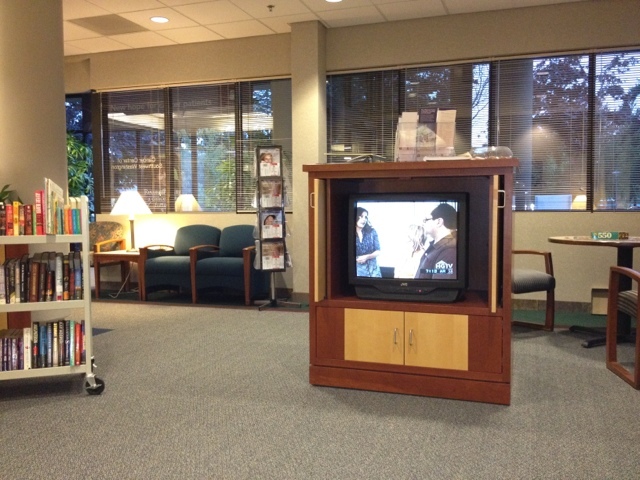 She has me sitting in the waiting room watching HGTV, waiting for the “doctor” to get here. Apparently the long white coat and stethoscope peeking out of my bag are meaningless. I need to either cut my long hair or get more gray hair. I am well on my way to the latter. My job search is stressful. Why?!?! This was supposed to be over months ago. ← Oh….why you look so sad?